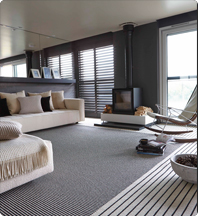 When it comes to getting the exact look you want for your home, Carpetright is committed to providing you with complete satisfaction, from the moment you decide that you need new flooring all the way through to when you enjoy walking on it! So we are pleased to be able to offer you a choice of home appointments at no extra cost. It ensures that you get the best price and minimum wastage – along with the perfect floor covering ofcourse. If you want to plan your own floor, you can do so by downloading our floorplanner. Please fill it in as accurately as you can and bring it along to one of our stores when you visit for a free home consultation. With 20 stores in Ireland, there is always a store near you.